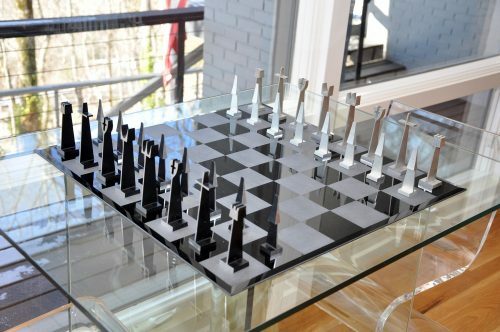 These is the famous ALCOA Aluminum Chess Pieces. In 1962, the Aluminum Company of America (ALCOA) launched a marketing program to advance the selling of their aluminum products. 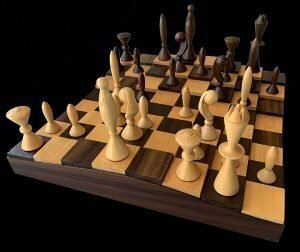 The game of chess was chosen as the vehicle for this campaign as it is associated with intelligence and problem solving. 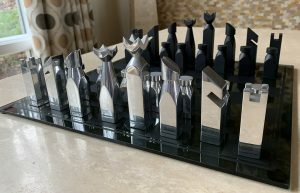 As a result of a design and marketing collaboration, there emerged a strikingly beautiful, very modernistic, abstract chess set designed by Austin E. Cox A.S.I.D. of “Austin Enterprises” and the advertising agency of Ketchum, McLeod & Grove. 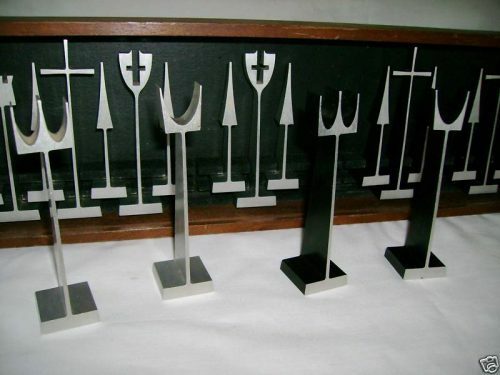 ALCOA had these mesmerizing sets produced to give to their top customers. 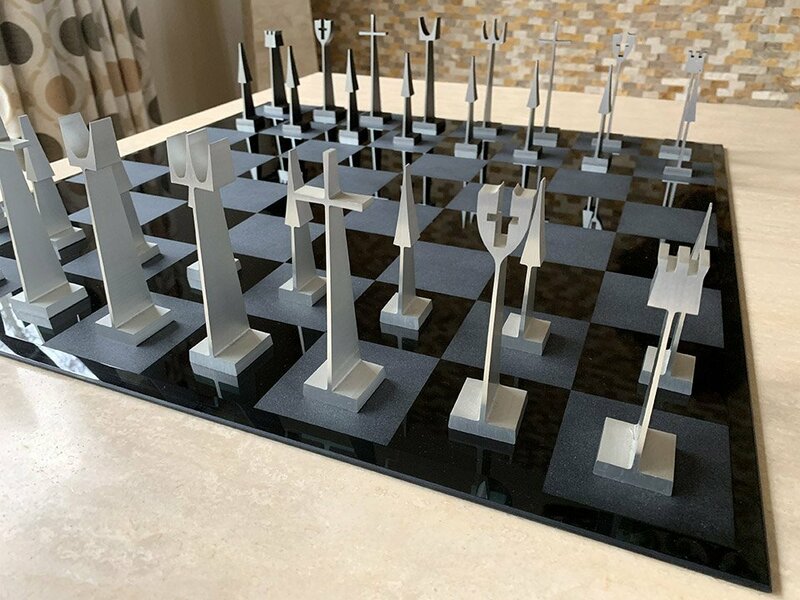 This was a fittingly strategic move, since the companies ALCOA currently serviced, or wished to do business with, could proudly display the set with, its ALCOA DNA, in their offices. 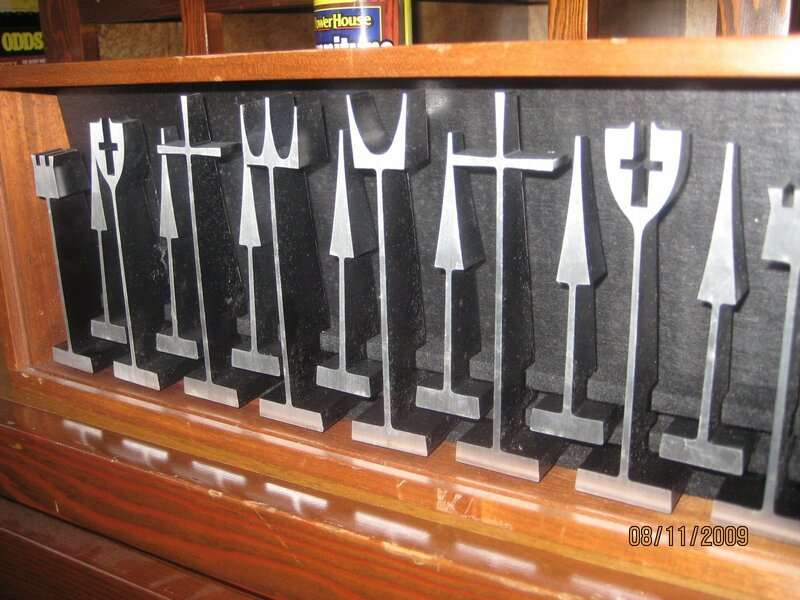 The 32 pieces of minimalist design were cut from aluminum bars; the white army appearing in a natural aluminum finish, with the black army differentiated by black anodized sides with natural aluminum faces. 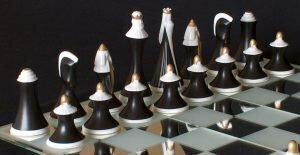 The pieces range in size from 4 7/8″ for the King down to 3″ for the pawns. 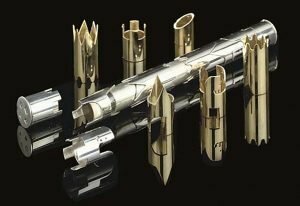 The pieces are strikingly abstract in form. The Queen is represented by a crown, the Bishop by a simple cross, the Knight is a shield and the King is, fittingly, the symbol of ALCOA. 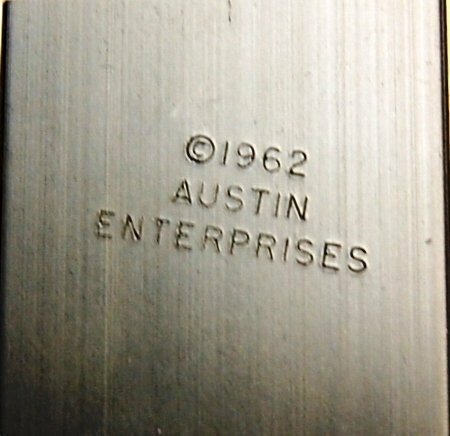 All pieces bear a stamp on their undersides: 1962 Austin Enterprises. The ALCOA Aluminum Abstract Chess Pieces are shipped in a replacement box. 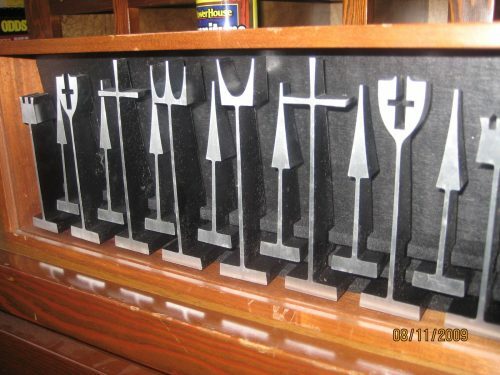 The original conforming walnut case with a blue tinted Plexiglas sliding door and the original blue suede chessboard are not present, but the attractive etched black and gray etched glass chessboard shown can be added for an $400 plus S&I.